At our AGM on Sunday 7 April 2019 at Skinner Street URC, Poole, reports were given for the years 2017-18 and 2018-19. 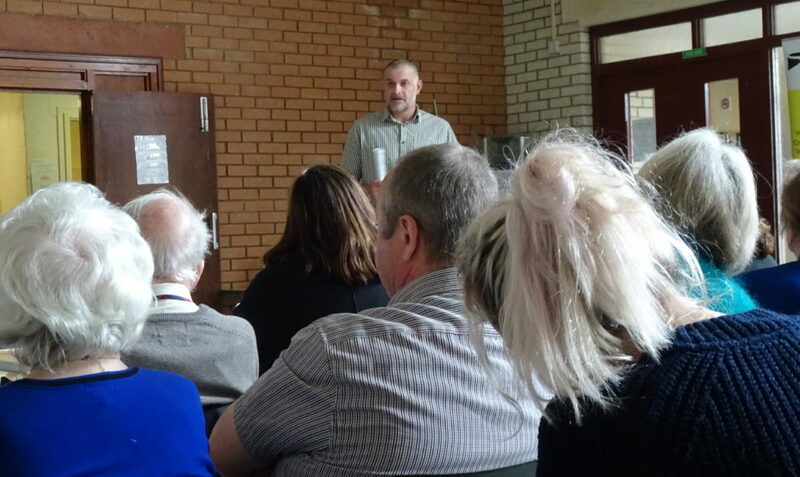 Andrew Teale, service manager for rough sleeper team St Mungo’s, and Katie Bathy, CMHT nurse, spoke of how important R2R’s drop-ins have become to them as an engaging tool with their clients. Regular attendance there enables them to talk to clients in an informal and relaxed atmosphere and work closely with other healthcare providers to ensure better outcomes. Our patron, The Right Reverend Karen Gorham, Bishop of Sherborne, was in attendance and spoke of how pleased she was to see how the charity is extending its ability to help and moving forward with more drop-ins and extended opening hours. This website was built by Conical Sphere Media. Copyright Conical Sphere Media 2019. All rights reserved.